Arômes invitants et charmeurs de fruits mûrs de fin d'été dans un cadre vivace. La bouche découvre un fruité complexe bien défini soutenu par une acidité fraîche dans un ensemble qui se prolonge longuement en finale. Fidèle à la philosophie d'assemblage de Beaucastel avec ses cinq cépages: bourboulenc, clairette, marsanne et viognier. Dégusté avec un filet de saumon légèrement parfumé au romarin. Pale gold. Ripe peach and pear aromas are complicated by a smoky nuance and a suggestion of orange zest. Supple, spicy and expansive on the palate, offering intense citrus and pit fruit flavors and a touch of anise. A floral, open style, with honeysuckle and orange blossom notes leading the way, backed by an enticing core of white peach flavors. A flicker of talc adds length on the pure finish. 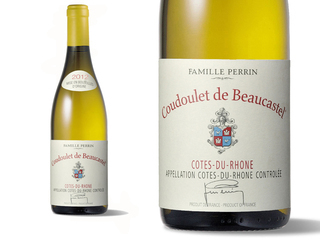 Moving to the Château De Beaucastel releases, the 2012 Côtes du Rhône Coudoulet de Beaucastel Blanc comes from a cool, windswept vineyard located just to the north of Beaucastel. 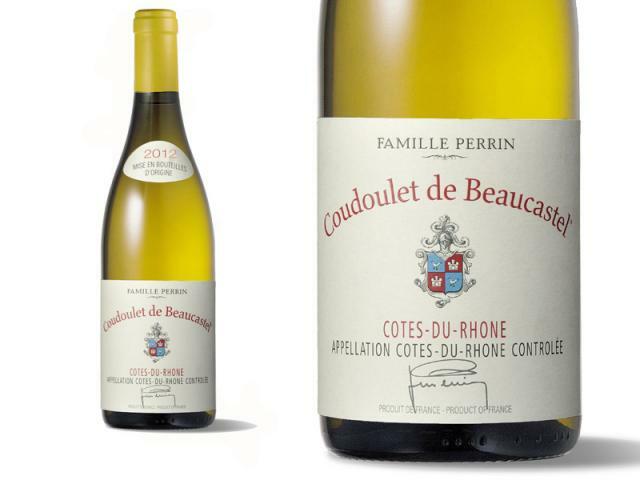 A blend of close to equal parts Bourboulenc, Marsanne and Viognier, with a splash of Clairette, that’s aged partially in stainless steel and partially in barrel, it offers up a pretty, fresh array of white peach and stone fruits, white flower and hints of minerality. This gives way to a medium-bodied, supple and delicious effort that will drink nicely for 3-4 years, if not longer. Herbal and broom-scented. A little loose textured, pretty full bodied and slightly sweet with a warm finish. Powerful.